I really can't pinpoint where my love for the 20s started but I can show the first 20s dress I made and why I needed to make it so badly. It was The Painted Veil with Naomi Watts which really isn't a bad film. Gimme a break the collar isn't exact but it's damn close. 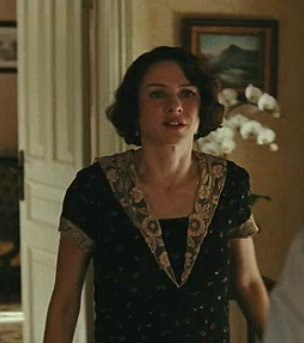 Cute dress, I may have to check that movie out. My 1920s obsession started when I discovered Louise Brooks. really good job.well done !! !